From rhinoplasty and brow lifts to liposuction and breast augmentation, the world of cosmetic surgery is extremely vast and caters to individuals of all backgrounds. Are you thinking about going under the knife and having something altered? Whether it’s a minor procedure or a complicated surgery, here are just five of the things you should know before you take the next step. Would you trust a complete stranger to make incisions on your body? No, so don’t let your surgeon be one. Take the time to complete thorough research on any professionals you are considering for the procedure and make note of their education and work experience. Have they specialised in a particular area? Are they affiliated with any associations or bodies? Many clinics such as Cosmetic Surgery for Women have this information accessible online, providing you with simple access to the details you need. Depending on the type of procedure you are undergoing, your recovery time will obviously vary. However, it’s important to note that recovery times will also differ depending on the individual. It’s therefore impossible for a surgeon to definitively tell you how long the healing process will take; at best, you’ll get an approximate timeframe. If you are taking time off work or planning other aspects of your life around your cosmetic surgery, it’s best to have some leeway. Also remember to drink plenty of water each day in order to stay hydrated. It can be very scary to think about, but the reality is that there are certain complications associated with surgery of any kind. Choosing an experienced surgeon and hygienic setting will certainly put you in good stead, but it is important to be aware of all the possible outcomes. For example, when the skin is cut, the chance of scarring and permanent scarring immediately increases. If you are working with a professional and credible surgeon, they will outline all the risks. One of the most important things to consider before getting cosmetic surgery is your reasons for doing so. For some people, it may be their chance to ‘escape’ an unhappy life and this is dangerous. While you are physically transforming in some way, cosmetic surgery may not change your emotional state. On the other hand, if you simply want to change your appearance and have a specific result in mind, you need to prepare for the fact that you may not look exactly like what you envisioned. In many cases, the results are irreversible, so really think about what you are doing and have lengthy chats with your surgeon. 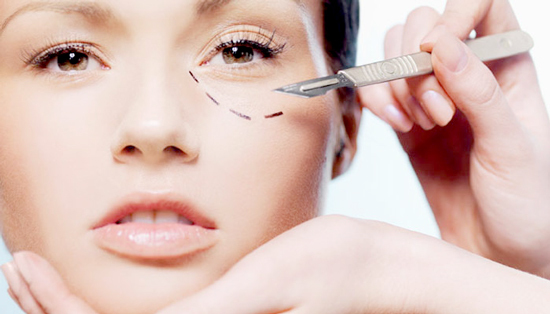 What other things about cosmetic surgery should everyone consider before making an appointment? Share your answer below.